Essentially, solar energy use is pretty simple, Sunlight = Energy, but the selection of product options can be more complex. Using a simple analogy, the solar energy industry can be compared to the early beginnings of the computer industry in 1980's. The personal computer is made up of many complex internal components, a monitor, a keyboard, a mouse, and all the other stuff that connects to it and makes it useful. The Solar Industry is Similar. 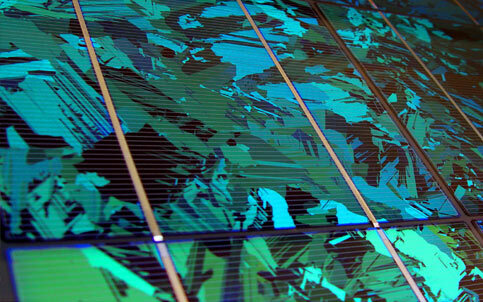 "The look of solar panels does not have to be PC, there is now an aesthetic choice without compromising performance". There are, and will be choices, as with computer technology, but why not beautify America while we capture an unlimited local source of energy. This is where Colored Solar™comes in. 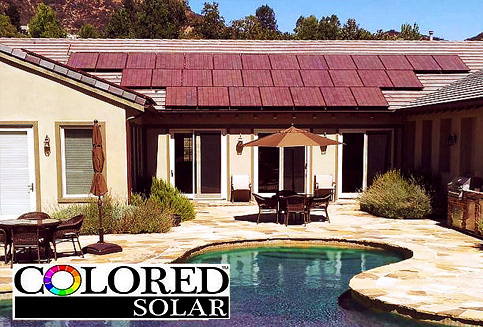 Colored Solar™ is dedicated to delivering the highest quality solar photovoltaic panels and products that both benefit the environment by reducing your carbon footprint while enhancing the look of your property - whether a home, a business, or development project. Colored Solar™ products are an investment in good design. We want to be part of a better, more beautiful future for us all. Colored Solar™ is located in Los Angeles, California, and we work with the US Dept of Energy, NREL, and the National Center for Photovoltaics pioneering our colored solar technology. Our Stylish Solar Panels™ with game-changing aesthetics, appearance, applications, emissivity for a cool roof effects, and technological components are equally efficient to conventional black solar panels. Colored Solar™ is a distributor and systems integrator of solar electric systems. We also offer a non traditional awning, our unique Architectural Accents™ colored solar awnings, bringing visual public awareness of solar energy. Our solar products are proudly made in the USA. Our Colored Solar™ panels qualify for the US Department of Energy's initiative to "Buy American", create jobs for Americans; as well as President Obama’s commitment to rebuild the American infrastructure, decrease the dependency on fossil fuels, and create a green economy. The American green economy will be achieved with domestic-made innovative products, such as those offered by Colored Solar™. President Trump - Not Good,Sir.